Register Log In GliderCENTRAL Forums Diet & Nutrition Are these okay for the BML mix? Hello! So I sent my dad to the supermarket today to get the ingredients for my gliders BML mix. He came home with some of the ingredients a little different than what I normally get and I wanted to make sure that they are fine to use. 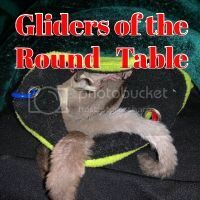 Hello, I fed the BML diet when I first got my gliders. The diet is very precise and if it were me, I'd go to the store and get the exact items you need for the mix. By using the current things your dad bought it would be throwing off the ratios with the added veggies in the chicken and mixed gerber grabbers. I'd stick with the little jars of chicken/gravy or turkey/gravy only. For the yogurt juice, it wasn't always available in my area. I had to use regular juice (I usually used apple) and plain yogurt. I believe it was equal parts, but it's been over a year since I've made it so I'd check the recipe substitutions. I remember the BML recipe doesn't have a lot of things that can be substituted, but the one I had did mention the juice/yog substitute. If yours doesn't I'm sure it could be found with a quick search. Good luck, hope you're enjoying your little fuzzbutts. Sugarfluff is correct, BML is a very strict diet. I would go to the store. The items you posted that your husband purchased are not suitable for making BML. I believe there are pictures in the BML link of the items to be used. As posted, the BML is very strict about what can be used including the fruits and veggies. Okay, that's what I figured but I thought I would ask just to make sure. I'm going to go myself tomorrow and swap out these for the right ingredients. Thank you!